New PVC-U windows. Saving energy and heating costs, and protecting the environment. Energy is expensive, and it’s getting more so. A good enough reason to start saving where it really counts: the heating. The German energy agency Dena has calculated that modern, tight windows, efficient heating technology, and an insulated envelope drastically reduce energy consumption. Savings in heating costs can reach a five digit sum in ten to fifteen years! Merely replacing old windows with modern, insulated PVC-U systems can make perceptible savings in your heating costs. Windows make up a good third of the facade. They define how much heat stays indoors. In a single-family home, for instance, the heat loss through the windows can be as high as 40% of the total heating energy. Old windows let through the most energy losses, which are about four to ten times higher than through windows with thermal insulation glass. The general rule: Windows installed before 1995 no longer fulfil the growing requirements for energy saving, insulated houses. There is therefore a huge savings potential here. How much energy can a window save? Can this performance be compared? 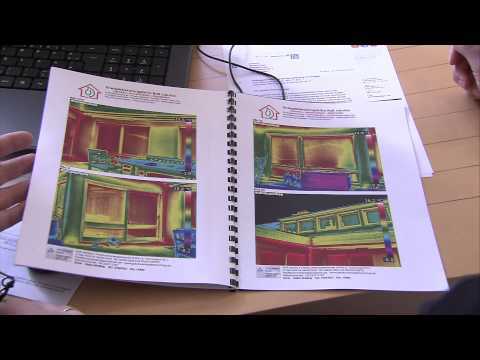 It can: The so called U-value specifies how much heat energy is lost to the outside. You need only remember: The smaller the U-value, the better the thermal insulation. And the greater the savings in energy costs. Renovating a building with new windows, or building a new one with efficient windows, therefore pays off in just a few years. The return on investment is accelerated by lower energy costs, and the quality of living rises together with the value of the property. In all cases, new windows should be installed by a qualified window maker. Yet not only the correct installation is important, but also the profile design, the transition from the profile to the glass, and the glazing type. You specialised window maker will advise you on which modern, thermally insulated windows are ideal for the building fabric of your home. This is well worth your while, also in financial terms: Money spent on skilled work services can be deducted as tax offsets.